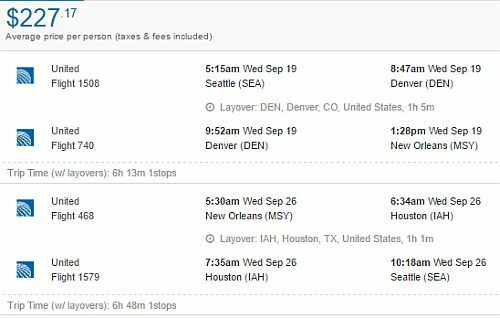 United Airlines has dropped the price of their September flights from Seattle to New Orleans, Charleston, and Tampa down to $227 CAD roundtrip including taxes. - Search for a flight from Seattle (SEA) to one of the destinations listed above. seattle, sea, florida, united states, united airlines, north america, san antonio, texas, charleston, south carolina, chs, new orleans, louisiana, msy, tampa bay, tpa and sat.